Travel light in style for bigger bags can become too cumbersome to carry, especially your tech kit like your iPods and smart phones with touch screens. The BUILT® Cargo™ Travel Organizer looks great and is loaded with all features to neatly and safely tuck in all your expensive electronic gadgets while you travel. Travel light in style for bigger bags can become too cumbersome to carry, especially your tech kit like your iPods and smart phones with touch screens. The BUILT® Cargo™ Travel Organizer looks great and is loaded with all features to neatly and safely tuck in all your expensive electronic gadgets while you travel. You can greatly benefit from the four compartments that organize and help protect all your electronic accessories. Made from neoprene, this Travel Organizer is stain resistant and stretches to fit a range of accessories and gadgets including iPod, chargers, cords, adapters, hard drives, and smart phones. 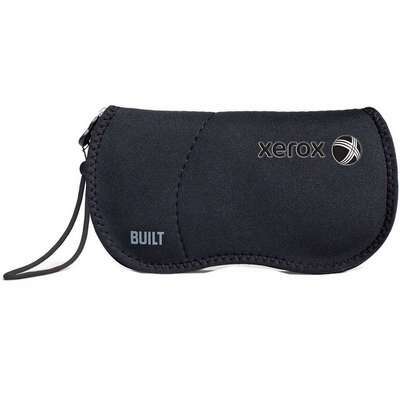 It also sports a very convenient wrist strap for ease of carrying and available in the classic black color. We can imprint your company logo neatly to help promote your brand where ever you go.